It’s only the fourth day of the year, and yet every day of the year I get less and less productive. I’ve been silent for more than a month. I had the time to post a new blog, but I choose not to. Instead, I’ve been trying to come up with new ideas on how to quickly and effectively create isometric characters and environments. I think that I found the solution, but I still need to get faster and more organized. 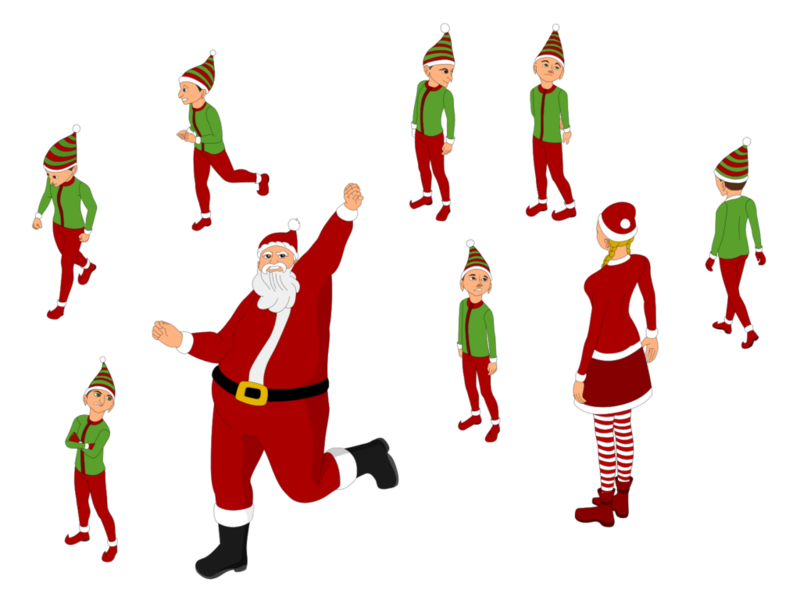 Here’s a sample (it’s still a work in progress) with a few test characters for my upcoming collection of Christmas game assets. Since I’m working on several projects simultaneously, I’m not able to guess how quickly I’ll be able to finish the first test collection, but once it’s done, the consecutive ones will go a lot faster. I’ll try to write more about my progress and future plans in November. I still want to finish a few illustrations that I plan to use as a foundation for my Christmas designs that will be on sale in my store on Zazzle. Christmas sales will start soon so I need to get ready. 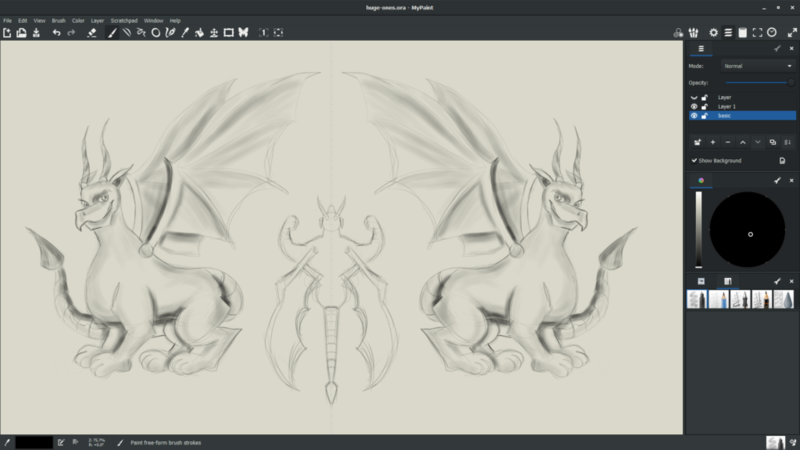 I’m still working on my dragon designs and animations for the top-down strategy game, however, I took some time off to draw a few vector portraits of dragons from normal persective. I’m thinking about compiling them into a set of avatars that I could offer in my Unity 3D store – of course, I’d have a free lite version. 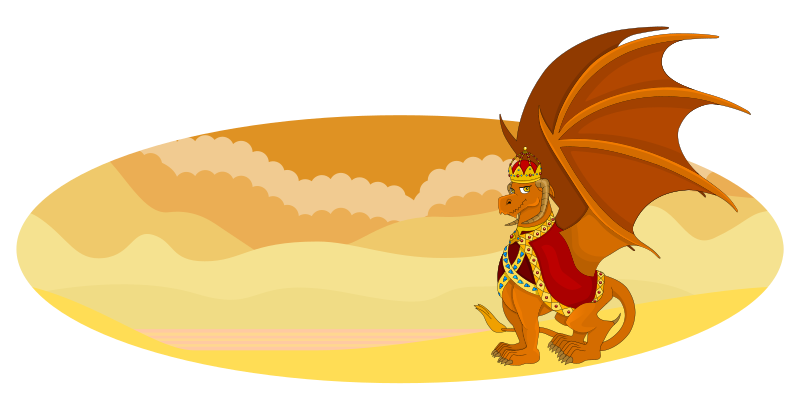 This week I’ll be spending most of my time designing, drawing and animating dragons. As always, I’ll be doing my sketches in MyPaint. I love that software. I need to design a few interesting dragon characters that could be used as bosses in an indie game. After I design each dragon I’ll need to redraw him from a top-down view and give him a simple yet recognizable shape. Unlike regular dragon characters in the game, these ones need to have special moves and attacks. To animate my characters I’ll use Unity 3D and Anima 2D, which is a great and free Unity plugin. 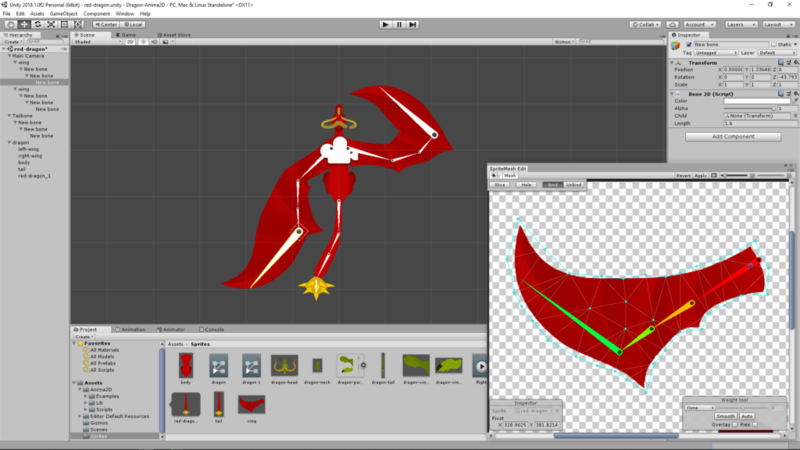 In Anima 2D I can use bones and weights to create fluenty looking 2D animation. I will be posting some sketches during the week, and I hope I will be able to design and animate somethig that will make the game look unique and memorable.